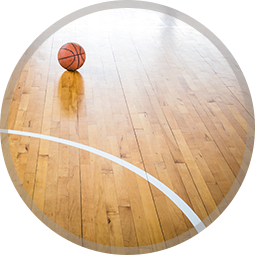 The hardwood gymnasium floor in your facility is one of the most valuable investments you have. Without proper maintenance, your gym floor will wear and could require repairs that may cause significant downtime for your facility. 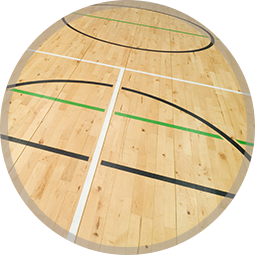 Our gym floor maintenance program is a simple and effective process that can help protect your investment and save you from unnecessary repairs well into the future. Repair or even replacement of a wood floor can be very expensive. The average cost of a regulation-size gym floor can cost you upwards around $20,000, and this is just for the sanding. If you need to replace the floor, you could be look at costs around $200,000. This is why it is important to protect your invest with proper gym floor maintenance. How can Midwest Floor Restore help you? Midwest Floor Restore offers a low cost maintenance program that can extend the life of your floor for years to come, while giving you a consistently great looking floor. And, the best part is, our annual screen/scrub and recoat process only requires 2 days of down time depending on size. Please note we do not perform staining, full sand downs, or repainting of any game lines.